This month, thousands of Japanese students will begin the often life-changing journey of studying abroad, hoping to have an experience like no other. 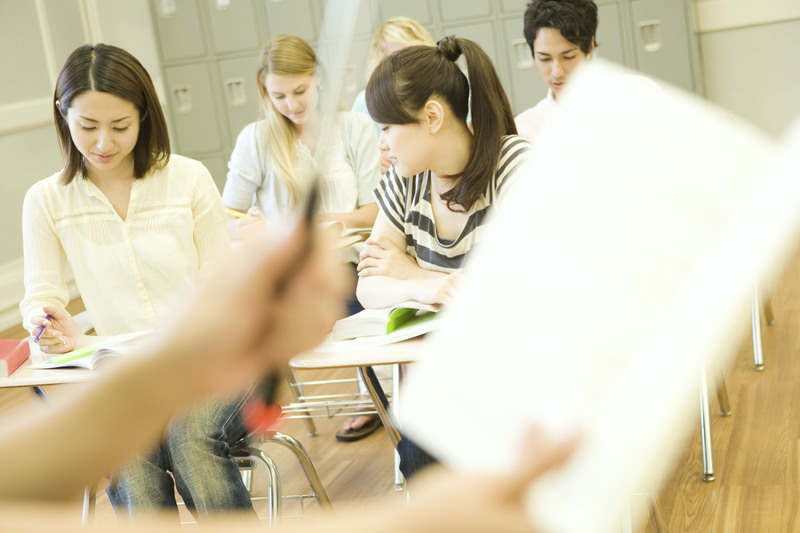 According to the Institute of International Education’s Project Atlas, there are around 65,000 Japanese students studying overseas in any given year. A quarter of these students (24 percent) choose the United States as their destination. Of course, that could have a lot to do with pre-established relationships between universities and agencies, but the point is that many Japanese students are experiencing American culture, and, consequently, experiencing the sensation of leaving behind their home country. In the last five years, I’ve been fortunate enough to have taught hundreds of Japanese students studying abroad in the state of Washington. I wanted to dig a bit deeper into why exactly they chose to leave the comforts of Japan for another country. To do this I created a survey, and received over 60 results from students whose age range was between 19 and 40. Choosing to live abroad is no small decision. I’m sure the majority of people reading this have at least exercised this concept hundreds of times in their minds. Many other readers are probably experiencing it right now. 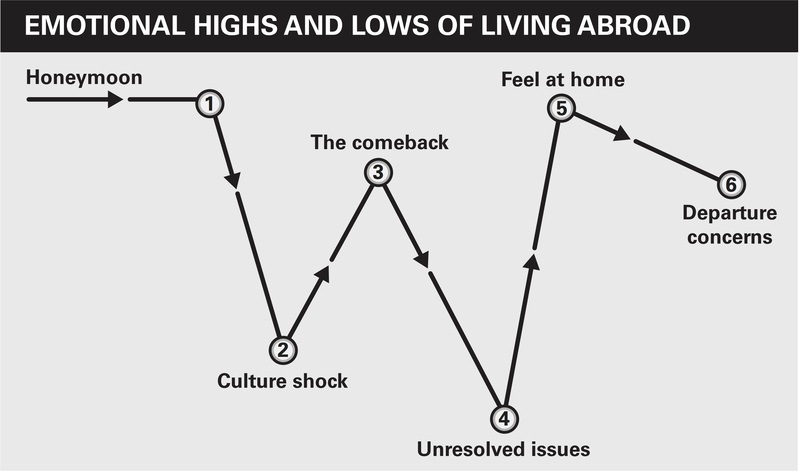 Still, I thought I would show a standard graph used quite commonly in American universities to illustrate the emotional ups and downs of living abroad (on right). How long a student experiences each category varies case by case. For example, in the surveys I received from students who had lived in the U.S. for only one or two months, many of them expressed more of a fascination with the culture — an innocence, I guess you could say — than other “long-termers.” Below are a few representative quotes from surveys by students going through these stages. From my experience, the honeymoon could even be called “the calm before the storm,” since it is followed by the titanic disappointment of culture shock. For some, culture shock can occur suddenly. Perhaps dreadful experiences with customer service at a bank or on public transport begin to build up, like a snowball gathering mass down a mountainside. Eventually you succumb to the depression, and you begin to believe that you simply “do not fit” this culture. You are not as flexible or adaptable as you once believed. This despairing thought — that you are not limitless — leads to many silent walks alone, an experience that is both melancholic and therapeutic. Some never escape the plummeting sensation of culture shock. Some simply return home and keep that feeling of inadequacy forever. Others, however, decide to resist the shadows of despair and force themselves to see the culture with a new, adjusted point of view. They refuse to believe that they cannot change enough to enjoy a place where millions of other human beings live. This is the comeback phase. This category, at least from my own observations, is the most admirable. As someone who has lived abroad in both Japan and Switzerland for extended amounts of time, the comeback is vital to better understanding culture as a global construct. 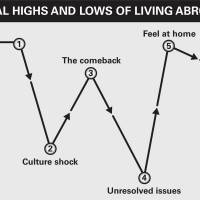 The comeback does indeed involve elements of denial; however, by pushing yourself out of the seductive comforts of gloom that indeed is culture shock, you are pushing the limits of your resilience — an act of courage you can draw from for the rest of your life. After enough time, however, unresolved issues you had denied in the past come back to haunt you, and you begin once again to surrender to the reality that this culture does not bring out your very best. This leads to a few hard-earned truths: You need certain aspects of culture in your life. Even though you now understand that culture is quite malleable, you’ve accepted the preferences you wish to have in your day-to-day existence. There is no shame in leaving at this point. In fact, it can be considered a “badge of courage”: You endured — you gave this culture your best shot and, although it was not ideal, you are proud of your journey. For others, however, the culture begins to grow on them naturally. Language barriers are brought down or at least minimized. You love the way people in this culture interact with others. You truly wish your country had this outpouring of warmth and hospitality. This moment, when you begin to “feel at home,” is both harmonic in spirit but also dangerous, because you sense, in the back of your mind, that you are “supposed” to return home. You are expected to fall back in line with your original culture, and that expectation — and those departure concerns — can be frightening. It can also be empowering. To know you are able to not just adapt or tolerate another culture, but to flourish within it, is a sensation not many have had the privilege to experience. You are not stuck inside the mechanisms of your native culture — you have options. Many expats I’ve talked to over the years have also expressed the fact that having that option — to live here or there or everywhere — can be dangerously addictive. You’re becoming boundless, rootless, and now that you have, for lack of a better phrase, transcended culture, you have become your own, and the loneliness from this, the aerial solitude, can at times seem unbearable. Gone somewhat are the insights from your family, who perhaps are now more rooted to the earth than you will ever be. Gone somewhat are the friends who chose not to live a life divided between cultures. What is gained, however, is a globe of human beings, who you can now see are more alike than you ever could have imagined. If there was one shared benefit throughout all the surveys, it was the idea of perspective. According to dozens of answers, seeing your native country “from the outside” allows you a chance to analyze it objectively — without having to face the obligations of that particular society.